As 2015 nears an end it’s time to reflect on my favorite travel memories of the year. We had a jam-packed schedule for sure, and although I discovered a whole passel of accessible travel finds, there were a few moments that stood out. Being the Duckmaster has its perks! 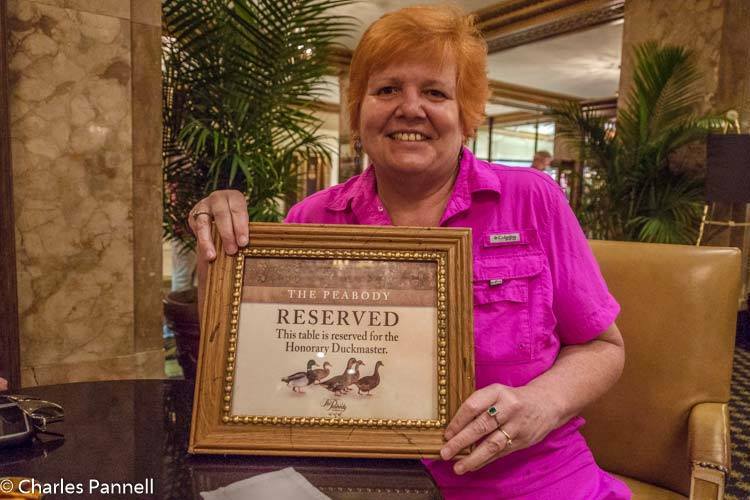 I absolutely love the Peabody ducks, so when I got a chance to play Duckmaster for a day at this Memphis property, I jumped at it. The ducks were very cooperative as I escorted them from the lobby fountain up to their rooftop digs for the night. As an added bonus, we also spent a very comfortable night at this nicely accessible property. Ten years ago when I was traveling through Kansas I stopped in the Flint Hills, and found folks preparing for the inaugural Symphony in the Flint Hills. I was impressed that the powers-that-be-were taking access into account from the get-go, but sadly I had a schedule conflict and I couldn’t attend the event. Well, I finally made it to this symphonic concert in the middle of the tallgrass prairie this past June. 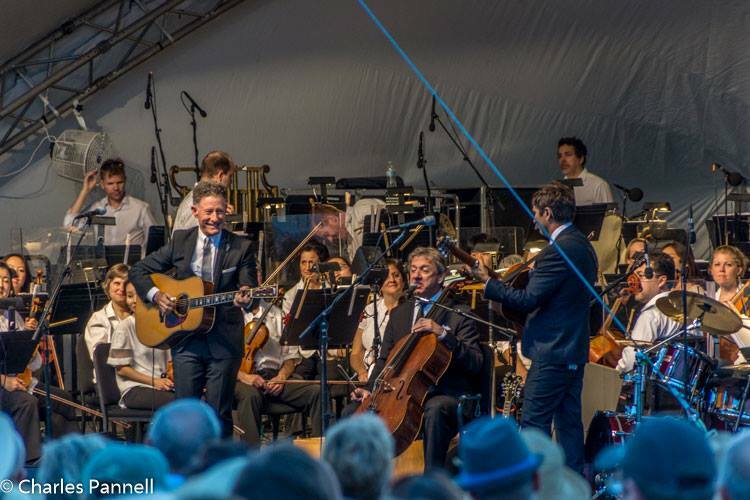 Lyle Lovett was the guest star, and the event was as accessible as ever. It was the perfect evening. Although many travel experiences focus on visiting particular sites, I also had some great people encounters this year. At the top of my list was meeting Ms. Maui, a long time Facebook friend, who lives in South Texas. 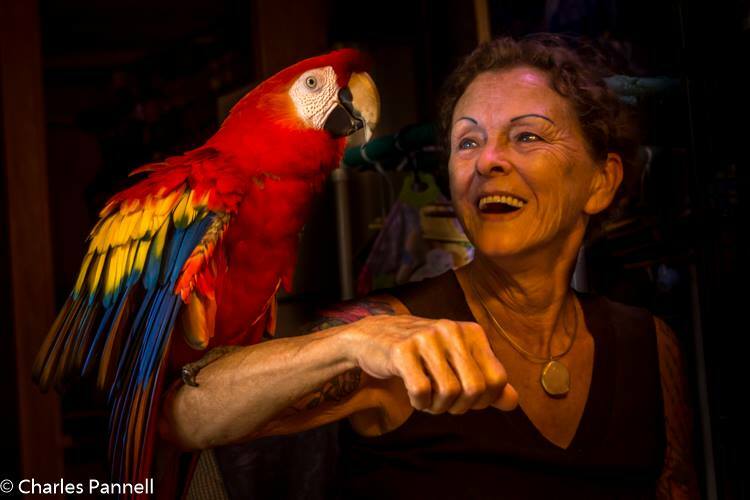 Ms. Maui is special because she is a scarlet macaw – who might I add has quite the personality! She lives with Love Love, a cockatiel (Ms. Maui named her), and her human companions Roberta and Ken. Although it was just a short visit, Ms. Maui got off her egg to come out and interact with me. It was a very memorable visit! 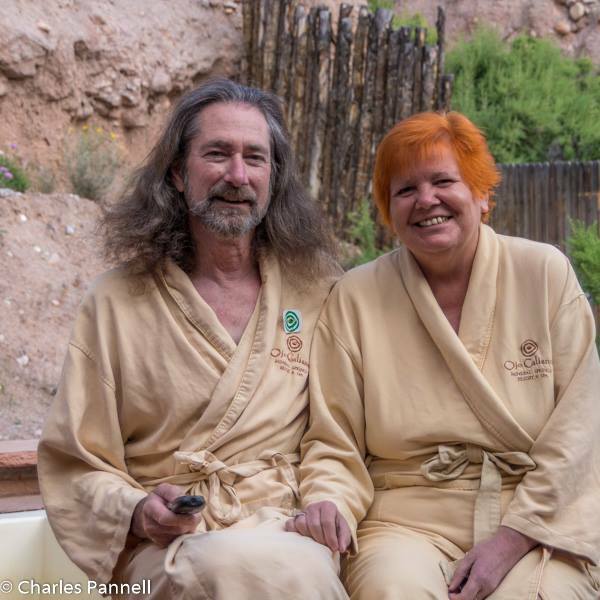 Ojo Caliente is one of my favorite places to soak, and I got another chance to enjoy the healing waters this year. We stayed overnight in a beautiful accessible suite with a private patio that bordered the scenic cliffs that dot the property. The main spa area is very accessible, and I’m happy to report that they have added a pool lift to their large pool. It was a very relaxing stop on our six-week road trip. Although I’ve been to Bandalier National Monument a number of times, this years visit was quite memorable, as Charles and I had the site to ourselves. The key is getting there before 9 AM, as that’s when the shuttle bus starts to run. Located in Northern New Mexico, this was the home of the Ancestral Puebloans, and today you can see the remains of some of their cliff dwellings. It was a little spooky being there alone, but there’s something to be said for having the trails to yourself. 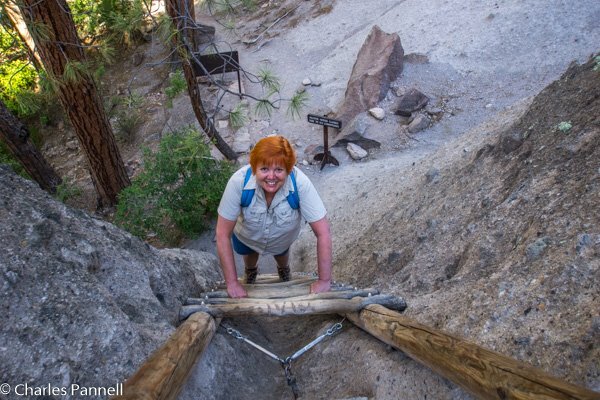 The great thing about this site is, that even though wheelchair-users can’t access the top cliff dwellings, there are other accessible trails throughout the site. 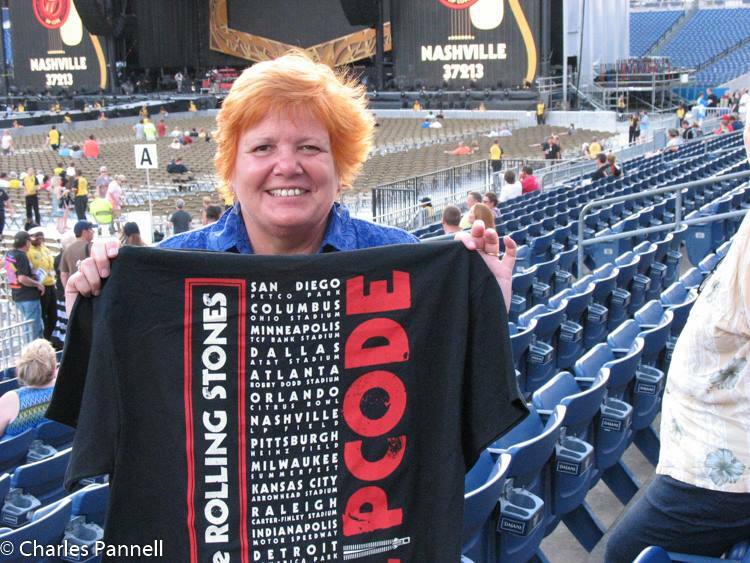 I love a good concert, and the Rolling Stones are one of my favorite bands, so I was thrilled to be able to see them in Nashville this year. Even better, I got to see them with my best friend from high school, Karen. To be honest, the concert was kind of shoehorned into an already tight schedule, and even though it meant only getting four hours of sleep one night, it was so worth it. Candy & Charles enjoying the plunge pool. Last but not least, I spent a very memorable month in a beautiful home in Hurricane, Utah, in order to research my book on Utah’s National Parks. It was a very comfortable and private property, and our back patio bordered on the desert. Rabbits, quail and roadrunners came to visit us, and it was a great place to view the lunar eclipse. And then there was my favorite feature – the plunge pool. In the end I’m very grateful for the travel memories we created this year, and look forward to hitting the road again next spring. Here’s hoping that you’ll also make some great travel memories in 2016! This entry was posted in Attractions and tagged Bandalier, Memphis, ojo caliente, peabody ducks, road trip, Rolling Stonews, symphony in the flint hills, Utah by Candy B. Harrington. Bookmark the permalink.